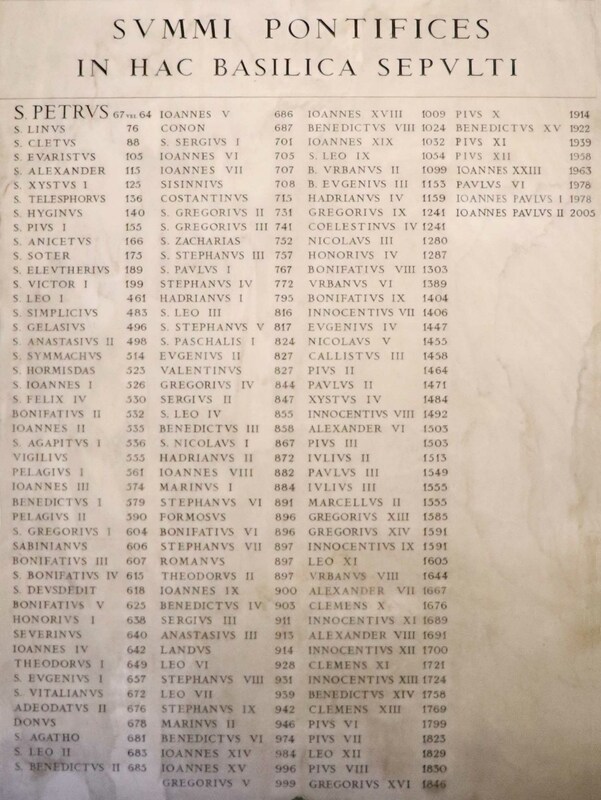 This list of the popes buried in St Peter's is from an inscription located at the entrance to the Sacristy. 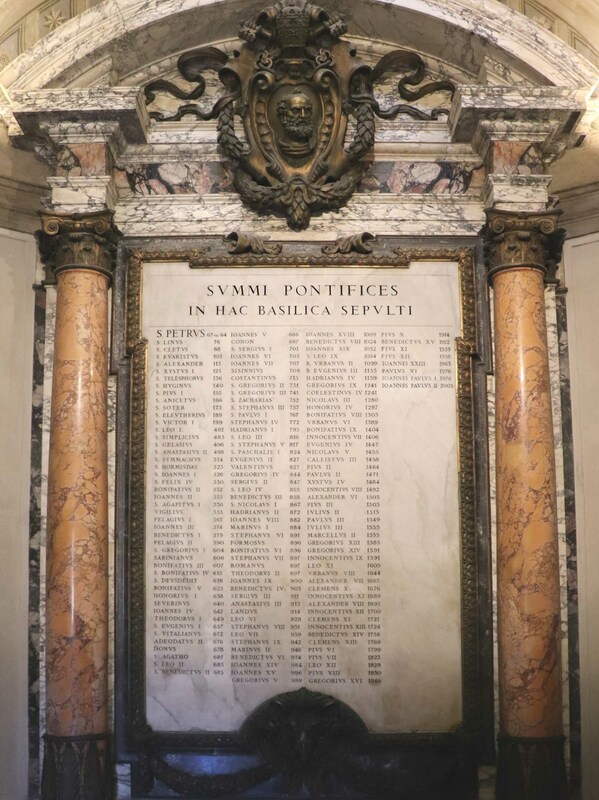 Of the 264 deceased popes, 148 are listed as having been buried at St Peter's. 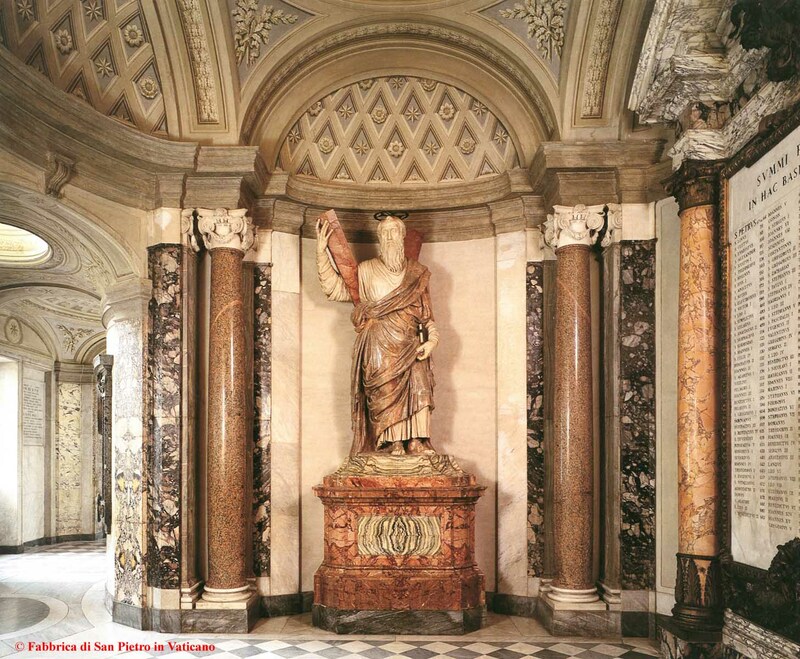 Several of the popes listed here were later moved: Eugenius IV was moved to San Salvatore in Lauro, Callistus III and Alexander VI to Santa Maria in Monserrato, Pius II and Pius III to Sant'Andrea della Valle.